Our technical knowledge of legislation, policy and guidance combined with our flexible approach to client requirements means we are able to offer pragmatic solutions to technical issues and suggest commercially focused options whilst ensuring development programmes remain on track. Our Ecology team also benefit from having a qualified Bat and Great Crested Newt Low Impact Class Licence Consultant in-house. We are one of only a few consultancies that can provide a more streamlined service for developers (for suitable sites) by reducing the licence application paperwork, scrutiny of the legal tests that need to be met prior to a licence being granted, and the speed with which a licence decision is made. The Extended Phase 1 Habitat Survey is the initial baseline assessment that the ecology team would undertake of a site to enable their clients to understand its ecological value and it’s potential to support protected and notable species of flora and fauna. Where necessary, the requirement for further survey would be detailed within the report. Carrying out an Extended Phase I Habitat Survey is a requirement under planning; it's advised that ecological surveys are undertaken before planning permission is determined ("The need to ensure that ecological surveys are carried out should therefore only be left to coverage under planning conditions in exceptional circumstances"). When undertaken prior to land acquisition, the survey provides an early warning for any ecological issues which may impact development timescales or costs, or require further investigation prior to development – enabling these factors to be fully considered at the feasibility stage with appropriate cost and programme allowances being made. An Extended Phase 1 Habitat Survey can prove valuable in identifying areas of land which should be afforded careful management to protect species and habitats, or identify areas which would benefit from enhancement as part of a management plan. The survey will also identify any sensitive areas of habitat, or protected or notable species of flora or fauna which may be impacted by maintenance and improvement works. A number of species are afforded robust legal protection and, when there is the potential for them to occur at a site, they may require specific surveys which can only be undertaken in certain seasonal windows. Following best practice, we can ensure the protection of species under licence, which may involve safely translocating them from a site to a bespoke receptor area. Benefiting from our long history working in property development, from the outset of our involvement with a site, we will liaise with the developer, contractor and wider design team, and taking into account all of the practical factors influencing the development will find the most cost effective solution to manage protected species and avoid delays. Protected Species Surveys are undertaken for Bats, Great Crested Newts, Badgers, Water Voles, Reptiles, Birds, White Clawed Crayfish, Otters and Dormice, and a number of other species that are found in specific habitat niches rarely impacted upon by development. Bats are a European Protected Species. Surveys commence with a Bat Roost Potential survey (BRP) of the structure(s) or tree(s) that are to be impacted upon, and it can be undertaken at any time of year. Following the BRP, if there is potential for bats to be roosting, up to three nocturnal (dusk and dawn) bat surveys are required to be undertaken between May and August (inclusive). 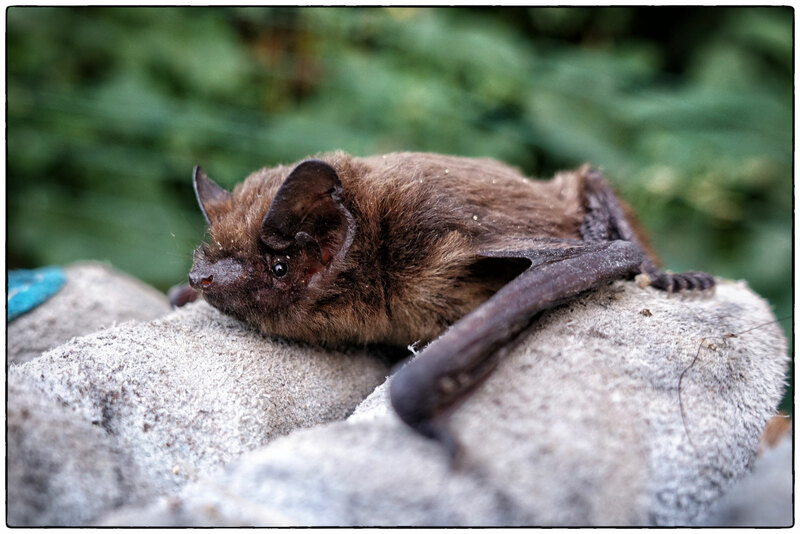 A European Protected Species Licence is required from Natural England to disturb a bat or bat roost, and mitigation is required under the Licence. Early assessment, in the form of a BRP, is required to ensure that the survey requirements, followed by the licence application and processing period (typically 6 weeks), and the installation of any associated compensatory roost sites, does not impact upon development timescales. Our Ecology team also benefits from having a qualified Bat Low Impact Class Licence Consultant in-house, read more. Great Crested Newts (GCN) are a European Protected Species. Great Crested Newt surveys may be required for areas of standing water both on site and within up to 500m of a site, if suitable terrestrial habitat connects the site to the waterbody, and the site itself supports suitable terrestrial habitat to determine their presence/ likely absence, and potential to occur at the site. 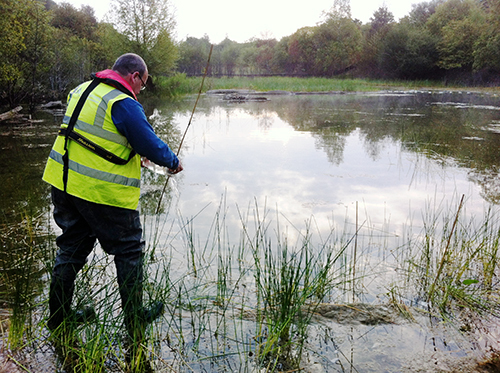 Aquatic GCN surveys are seasonally restricted, with a minimum of four survey visits of any identified waterbodies being required between mid-March and mid-June, two of which have to be undertaken between mid-April and mid-May. 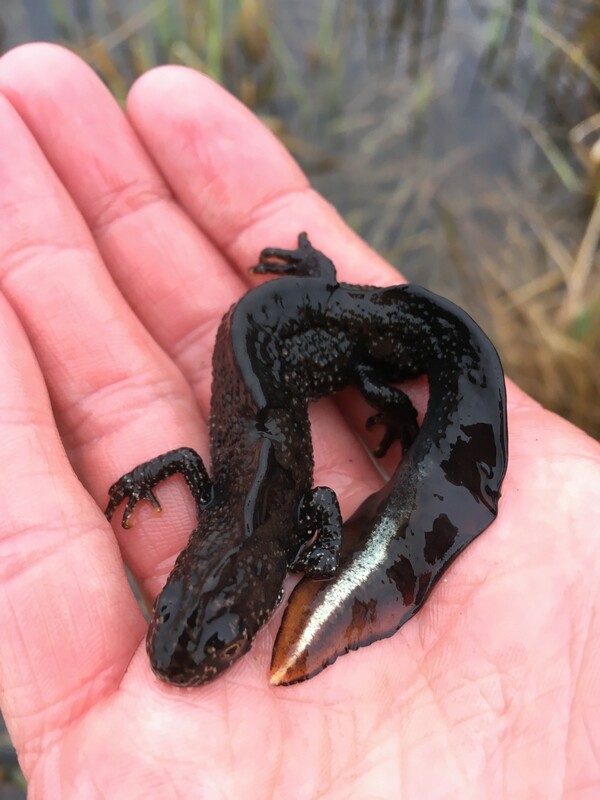 If Great Crested Newts are found, two further survey visits are required in order to obtain a European Protected Species Licence, which is needed if GCNs or the habitats that support them are to be impacted upon. Our Ecology team also benefits from having a qualified GCN Low Impact Class Licence Consultant in-house, read more. Ground works within up to a 30 m radius of a badger sett may require a Badger Licence from Natural England to either permanently or temporarily close a sett. A badger survey is the initial step to identify a sett and assess the importance of a site for badgers; this can be undertaken at any time of year. However, setts can only be closed under Licence between July and November (inclusive). Land owners and developers need to consider the potential for badger setts within 30m of their site at an early stage to avoid delays if a sett is identified. Water vole activity is limited to areas adjacent to suitable watercourses and waterbodies. However, if an initial survey identifies the presence of potential burrows, further surveys are required between April and September (inclusive). Water voles can be difficult and expensive to mitigate for if impacted by a proposed development as they will normally need to be translocated elsewhere, which requires a Conservation Licence. To gain the licence, extensive habitat enhancement works are required at an alternative site which should be in close proximity to the site itself, and may need considerable time to establish. 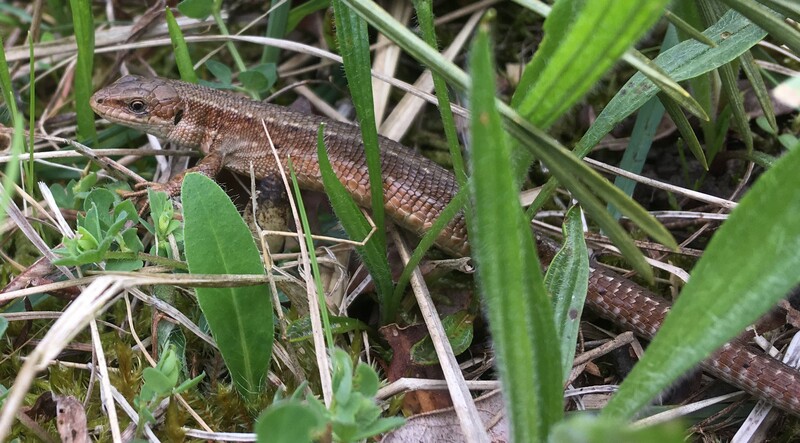 There are four common species of reptiles in the UK: Grass snake, adder, slow worm and common lizard, all of which occur on both brownfield and greenfield development sites in rural and urban areas. Surveys can be carried out from mid-March to mid-October (inclusive) and require a minimum of seven visits to determine presence/ likely absence. Where present, mitigation usually requires translocation to a suitable receptor site. Birds’ nests cannot be disturbed until all chicks have fledged. Typically the nesting period during which checks should be undertaken prior to vegetation clearance is between March and July. However, in some areas with specific habitats, consideration is required to be given to specific species such as barn owls, or, to the year-round importance of the site for groups of species, migratory birds. Therefore, there may be a requirement for breeding bird and wintering bird surveys, as well as monthly monitoring. Surveys are required only if a proposed development will impact upon a waterbody or its banks immediately above the water, or if there is a risk of impacting water quality. Surveys using a range of techniques can be undertaken from April through until the end of October, with the optimal survey season being from June until the end of October. 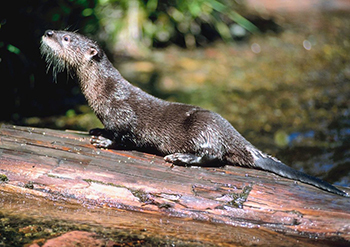 Otters are a European Protected Species and surveys are required if bankside habitats of a waterbody or the waterbody itself that offers potential to support otter are to be impacted upon. If otter holts are to be impacted by a development, a European Protected Species Licence is required; however, it should be noted that Natural England will only authorise the destruction of a holt in exceptional circumstances. Dormice are a European Protected Species, and as such a European Protected Species Licence is required from Natural England if dormice are to be impacted upon by a development. Dormice are mostly confined to the southern counties of England and some parts of Wales. They have specific habitat requirements favouring coppiced hazel woodland areas linked by hedgerows to other suitable habitats. Surveys can be labour intensive, and if nest tubes have to be installed at a site they require fortnightly checks over a period of months from early April until late October. Licenced works cannot be undertaken during the hibernation period from November to March (inclusive). Our ecologists can act on the customer’s behalf at public consultations and with key stakeholders including Natural England, Countryside Council for Wales, the Environment Agency, and local authorities. 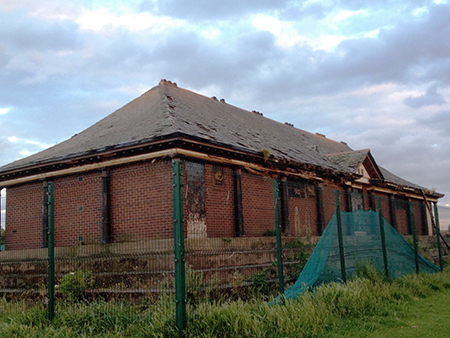 Our team will negotiate with key stakeholders to ensure planning consent for a development. We will liaise with local authorities, ensuring compliance to all regulations and legislation and working to satisfy local planning conditions.